The Honor 7S Dual SIM Smartphone gives you premium-grade user experience. It packs a powerful performance in a sleek design. 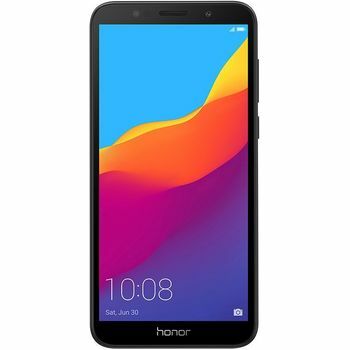 This Honor smartphone features a 3020mAh battery that lets you browse the web, watch videos, and play games for an extended time. The MT6739 Quad-Core processor of this Honor phone runs almost all high-end applications smoothly without compromising the battery life. The smooth responsiveness of the 2GB RAM ensures a seamless multitasking experience. This Honor mobile has an inbuilt memory of 16GB that lets you store all your favorite videos and music in one place. Furthermore, the three card slot lets you use two SIM cards and a microSD card of up to 256GB. 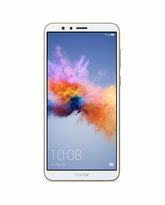 This Honor mobile features a 13MP AF camera that enables you to click gorgeous images with HDR and panorama mode. The 5MP front-facing camera with selfie toning flash allows you to capture awe-inspiring selfies even in low light. Furthermore, the 5.45inch HD display offers clear, bright visuals for an immersive experience. 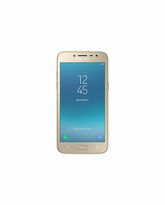 The narrow frame of this phone allows for comfortable one hand handling. Thanks to the super receiver mode, this phone provides large receiver volume for clear listening in noisy environments. With the face unlock function, you can easily unlock your phone even when your hands are occupied or wet. Available in a black finish, the Honor 7S smartphone exudes a sophisticated look. This Honor mobile has a narrow frame that provides a bigger view with a comfortable grip. The 5.45inch HD display offers crystal-clear visuals for an incredible viewing experience. Moreover, the 18:9 aspect ratio of the screen gives you cinema-like viewing pleasure in your hand. Furthermore, the split screen feature lets you work on two tasks at the same time. You can chat while watching videos or read while recording. All the more, you can double click to turn the screen on and off. With this phone, you can complete a screenshot by swiping your three fingers on the screen from up to down. Also, this phone has an advanced mode that reduces blue emission to minimize eye strain, which is perfect for long hours of reading. The 5MP front-facing camera of this Honor phone provides a proper toning effect with every picture, thanks to its selfie toning flash. The automatically adjustable soft lights let you click perfectly lit selfies any time of the day. Moreover, the beauty mode feature smoothens your skin and blemishes while clicking a selfie, so you do not have to go through the hassle of further editing. Lastly, the 13MP rear camera captures stunning photos and videos. 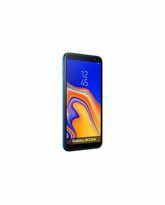 This Honor dual-SIM smartphone features a super receiver mode that can be triggered by the volume plus key at the time of the call. It allows you to listen clearly even in a noisy environment. You can adjust the receiver volume intelligently according to the environment condition. Furthermore, the headset monitoring feature lets you sing and hear your voice in real time with an earbud and default program. The Honor 7S Dual SIM Smartphone gives you premium-grade user experience. It packs a powerful performance in a sleek design. 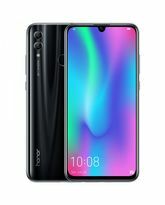 This Honor smartphone features a 3020mAh battery that lets you browse the web, watch videos, and play games for an extended time. The MT6739 Quad-Core processor of this Honor phone runs almost all high-end applications smoothly without compromising the battery life. The smooth responsiveness of the 2GB RAM ensures a seamless multitasking experience. This Honor mobile has an inbuilt memory of 16GB that lets you store all your favorite videos and music in one place. Furthermore, the three card slot lets you use two SIM cards and a microSD card of up to 256GB. This Honor mobile features a 13MP AF camera that enables you to click gorgeous images with HDR and panorama mode. The 5MP front-facing camera with selfie toning flash allows you to capture awe-inspiring selfies even in low light. Furthermore, the 5.45inch HD display offers clear, bright visuals for an immersive experience. The narrow frame of this phone allows for comfortable one hand handling. Thanks to the super receiver mode, this phone provides large receiver volume for clear listening in noisy environments. With the face unlock function, you can easily unlock your phone even when your hands are occupied or wet. Available in a black finish, the Honor 7S smartphone exudes a sophisticated look. This Honor mobile has a narrow frame that provides a bigger view with a comfortable grip. The 5.45inch HD display offers crystal-clear visuals for an incredible viewing experience. Moreover, the 18:9 aspect ratio of the screen gives you cinema-like viewing pleasure in your hand. Furthermore, the split screen feature lets you work on two tasks at the same time. You can chat while watching videos or read while recording. All the more, you can double click to turn the screen on and off. With this phone, you can complete a screenshot by swiping your three fingers on the screen from up to down. Also, this phone has an advanced mode that reduces blue emission to minimize eye strain, which is perfect for long hours of reading. 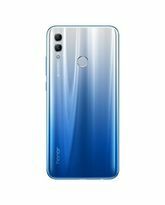 CLASS-LEADING PHOTOGRAPHY The 5MP front-facing camera of this Honor phone provides a proper toning effect with every picture, thanks to its selfie toning flash. The automatically adjustable soft lights let you click perfectly lit selfies any time of the day. Moreover, the beauty mode feature smoothens your skin and blemishes while clicking a selfie, so you do not have to go through the hassle of further editing. Lastly, the 13MP rear camera captures stunning photos and videos. SUPERIOR PERFORMANCE The MT6739 Quad-Core processor runs all the high-end functions of this Honor smartphone without experiencing any lags. Also, it provides outstanding performance when handling demanding mobile games. The 2GB RAM gives this smartphone the responsiveness to handle multiple applications simultaneously. The 16GB inbuilt storage and an expansion option of up to 256GB give you the freedom to carry all your favorite entertainment in your pocket. 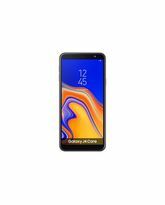 The powerful 3020mAh battery provides a usage time of up to 1.3 days, so you can enjoy all the multimedia features of this phone without being anchored to a power outlet. 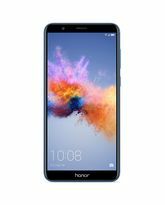 The Honor 7S is preinstalled with Android 8.0 that provides an intuitive smartphone experience SUPER RECEIVER MODE This Honor dual-SIM smartphone features a super receiver mode that can be triggered by the volume plus key at the time of the call. It allows you to listen clearly even in a noisy environment. You can adjust the receiver volume intelligently according to the environment condition. Furthermore, the headset monitoring feature lets you sing and hear your voice in real time with an earbud and default program.